Revo Uninstaller is a freeware with no spyware and adware that’s provides powerful uninstalling feature over the Windows’Add or Remove Programs control panel. 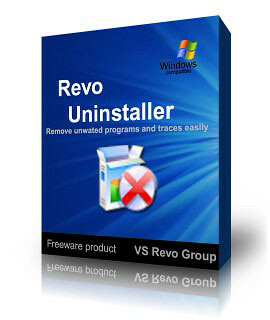 Revo Uninstaller helps you to uninstall software and remove unwanted programs installed on your computer even if you have problems uninstalling and cannot uninstall them from “Windows Add or Remove Programs” control panel. With its advanced and fast algorithm, Revo Uninstaller analyze an application data before it actually uninstall the application. It helps to remove additional unnecessary files, folders and registry keys that are usually left over on your computer. You can also use Revo Uninstaller to fix a broken installation. Revo Uninstaller scans for an application’s data on your hard disk drives and in the Windows registry and shows all found files, folders and registry keys so you can delete them safely. Revo Uninstaller can be installed on Windows 2000, Windows XP, Windows 2003 Server and Windows Vista. However 64 bits Windows are not supported.